Certain routines have existed forever. You get up in the morning, and before your morning coffee, even before you brush your teeth – you wash your face. We all do it, every single day. We’ve been doing it forever it seems. But years before our generation walked this earth, the Greeks, the Romans and perhaps even Cleopatra, used something entirely different for cleansing and beautifying purposes. How could it be that something that is perceived in modern culture as dirty, unwelcome and undesirable had been used by so many people for so many generations? And for cleansing and beautifying purposes no less! It turns out, they were smarter than we think. The ancient men and women realized quick enough that the Dead sea in general and its mud in particular, possess magical, beauty enhancing qualities. And true enough, the dead sea mud is rich with minerals in general and sulfur in particular, known for its rejuvenating abilities. How did Mud become so rich? Well, it’s not just any mud. Dead sea mud was formed tens of thousands of years ago, when tons of sediments mounted into the bottom of the dead sea. The amounts of mud were great, and so heavy, they lifted the salt upwards. 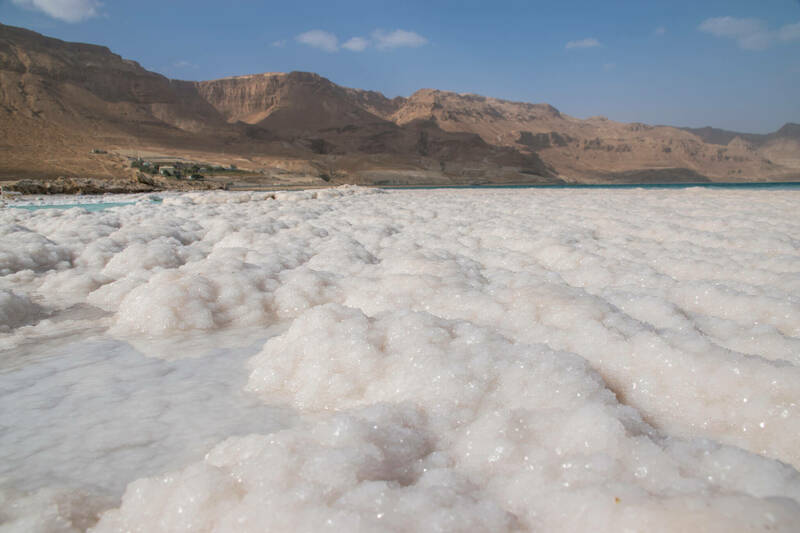 The salts had originating from floods to the dead sea as well as underwater reservoirs that still exist to this day. These salts, that prevent the sea from cultivating flora and fauna (therefore branding it the “dead” sea) are now imbedded in its mud. Think of how cereal changes its density, texture and even flavor after spending a few minutes in the milk bowl. Give it a while, and it is no longer regular cereal, it has transformed. The mud has spent tens of thousands of years soaking in the salts of the dead sea, absorbing its minerals. It is no longer just mud, it has transformed. The minerals in the dead sea mud are blended so neatly into it, that the mud actually contains some minerals, that are small enough to penetrate your skin pores, nourishing your skin. The minerals in the mud help to improve blood circulation, promoting a natural, youthful glow.